Happy Talk Like a Pirate Day, m’hearties! 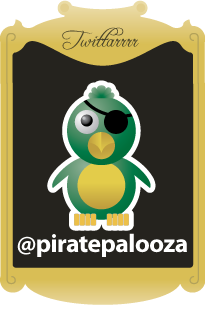 With less than 5 days until the 13th Annual PiratePalooza™ Pubcrawl & Pubsing it might be a good idea start polishing up on your pirate history! However, if you’re like most sea devils these days you’re absolutely illiterate (which is why you have someone reading this article to you right now). So what’s a modern history-hungry pirate to do? I recommend that you subscribe to the Pirate History Podcast, a crowd-funded effort by Matthew Arthur which delves deep into the history of the golden age of piracy, from the romanticized battles at sea to the less known political maneuvering between sovereigns back in Europe. 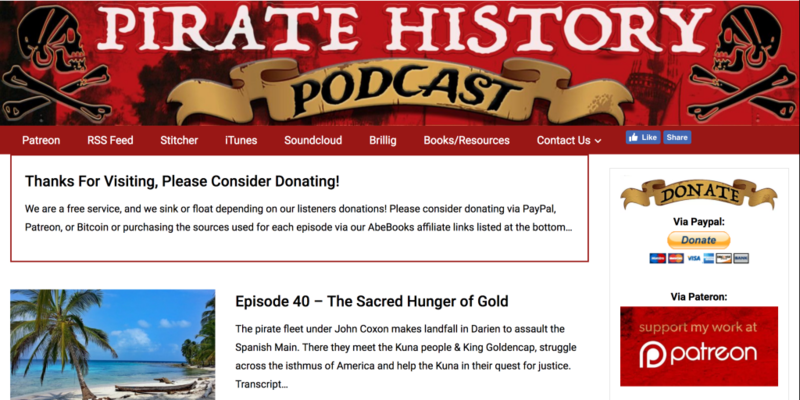 The Pirate History podcast will strip away stereotypes, revealing the far more fascinating reality behind era. It will transform your image of historical figures like Captain Henry Morgan from today’s rum-selling caricature of a chest-standing dandy into a real-life politically adept businessman and opportunist; a spider in the center of a web of illicit commerce in a frontier world. If you enjoy conspiracy theories and conjecture, Matthew has lately been building a case for English espionage against the Spanish, comprised of educated men like English naturalist William Dampier, who traveled widely with pirates from Jamaica to Virginia, Peru to Guam, and many points around the Spanish Main. Matthew is good about citing his source material, books like The Buccaneers of America and A Pirate of Exquisite Mind: The Life of William Dampier: Explorer, Naturalist, and Buccaneer. If you’ve been a pirate costumer for any length of time you’re all too aware that “playing pirate” is a rabbit hole that can lead to a better understanding of the technology, fashion, culture, politics, religion and overarching motivations which drove the men and women of that era, providing context and insight for the times in which we now live.